It has been 125 years since the discovery of the world’s oldest mechanical calculator — arguably an analogue computer — a device made by Ancient Greeks some 2,000 years ago. The device became known as the Antikythera [Antee-kee-theer-a] Mechanism. In the very beginning of the 20th century, a group of Greek sponge-divers discovered an ancient shipwreck. Along with numerous artifacts and marble statues, a strange box was uncovered which had gears embedded into it. Two years later, archeologist Valerios Stais noticed this fossilized box with a gear. Initially, it was thought to be some sort of a mechanical clock. However, closer inspection (and x-rays) revealed that despite having gears working together, this “clock” was intended to mimic the location of the sun, moon and planets, including Mars, Jupiter and Saturn. It was to be used as a calendar, predicting 42 astronomic events. The device was found near the island of Antikythera and was named after it. This mechanism is the most complex device known from Antiquity. Similar complex mechanisms only began construction in the 14th century. Being brought to the surface from a shipwreck that laid 2,000 years undisturbed, the mechanism was likely being shipped to Rome. If you take introductory courses in computer science, it is likely that you will hear the professor mention this device. But what can a 2,000-year-old computer teach us, apart from breaking the stereotypes about illiteracy of ancients, reinforced by “Dark Ages”? Among the interdisciplinary programs introduced by the University of Waterloo there is the Centre for Society, Technology, and Values. Introduced in 1984 as a research unit, one of its key tenets is to explore relationships among technology and culture. Providing an overview of scientific articles and providing commentary, one article by Cameron Shelley PhD, from December 2016, touches on the role of Artificial Intelligence in rediscovering ancient links of knowledge. 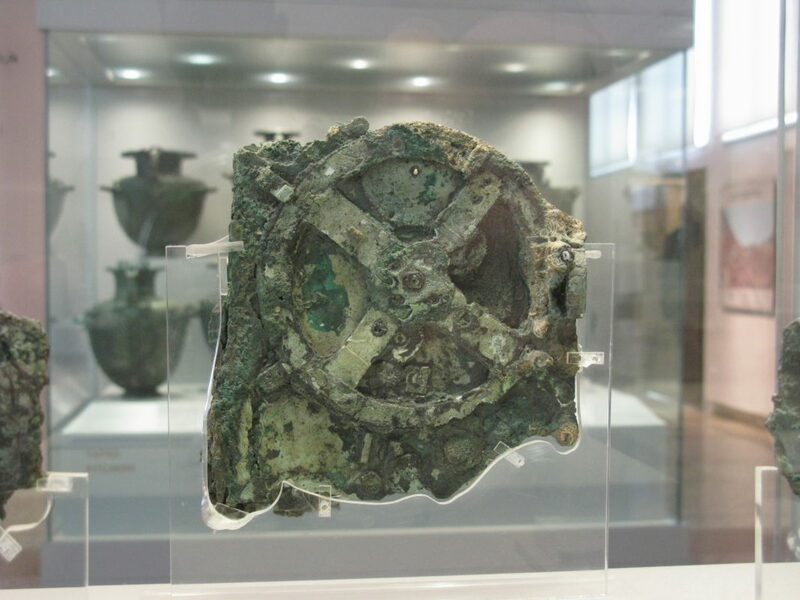 In the case of the Antikythera Mechanism, this can be done by scanning the already existing exhibits. There is hope that documents and artifacts are hidden in plain sight, unrecognized at the time of their discovery and likely improperly catalogued. Once, the current giants of the computer industry started their pet projects in their garages, utilising all the tools that they could gather. With the desire to invent the future, mysteries of the past once misunderstood have become revealed. Ancient scientists, aware of information that we are now able to neglect, meticulously gathered knowledge accumulated over several lifetimes, constructing complex tools like Antikythera mechanism. With the right technology in our hands in 21st century, we just might be able to re-discover the missing links of knowledge, reaching out to us from the obscurities of time.